based on the book "The Ring Around The Mind" by Mary Rocamora. Video: Renee and Son Miles Rehearse for Romeo & Juliet! SOUTHERN SHAKESPEARE COMPANY (SSC) is thrilled to, once again, bring our unique FREE Shakespeare in the Park Festival to Cascades Park. This year, the SOUTHERN SHAKESPEARE FESTIVAL expands to four days and will join the ranks of some of the best Renaissance Festivals in the Southeast region on May 12th and 13th. Visitors will experience the magic and mystery of our jugglers, illusionists, stilt walkers, and fortune tellers; the spectacle of armored combat; the taste of medieval food; and even learn a new skill, be it blacksmithing, weaving, or belly dancing. To learn about the benefits or membership (including reserved seats!) click here. 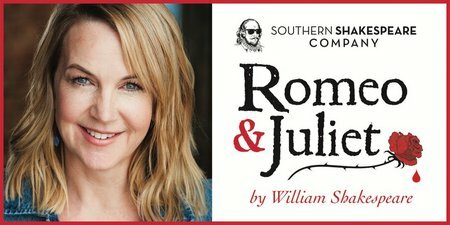 SOUTHERN SHAKESPEARE COMPANY welcomes our 2018 Special Guest Artist, Reneé O'Connor, performing in our Shakespeare in the Park production of Romeo & Juliet. Reneé O'Connor, best known for her role of Gabrielle on the television series Xena: Warrior Princess, is an American actress, producer, and director with a deep and abiding passion for Shakespeare. Ms. O'Connor has previously performed in Macbeth (Lady Macbeth) and Romeo & Juliet (Nurse) and is thrilled to be joining us at the Capital City Amphitheater this May. #Xena #Gabrielle To add to the excitement and buzz, Ms. O'Connor will be joined by her son, Miles Muir, ONSTAGE as he performs the role of ROMEO! Renee has released a photo of her in her "Nurse" costume for the upcoming Romeo & Juliet production May 10-15, 2018. Her son Miles will be playing the role of Romeo! 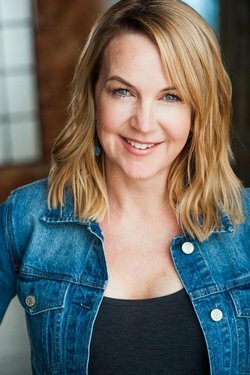 SOUTHERN SHAKESPEARE COMPANY welcomes our 2018 Special Guest Artist, Reneé O’Connor, performing in our Shakespeare in the Park production of Romeo & Juliet. Reneé O’Connor, best known for her role of Gabrielle on the television series Xena: Warrior Princess, is an American actress, producer, and director with a deep and abiding passion for Shakespeare. Ms. O’Connor has previously performed in Macbeth (Lady Macbeth) and Romeo & Juliet (Nurse) and is thrilled to be joining us at the Capital City Amphitheater this May. #Xena #Gabrielle To add to the excitement and buzz, Ms. O’Connor will be joined by her son, Miles Muir, ONSTAGE as he performs the role of ROMEO! 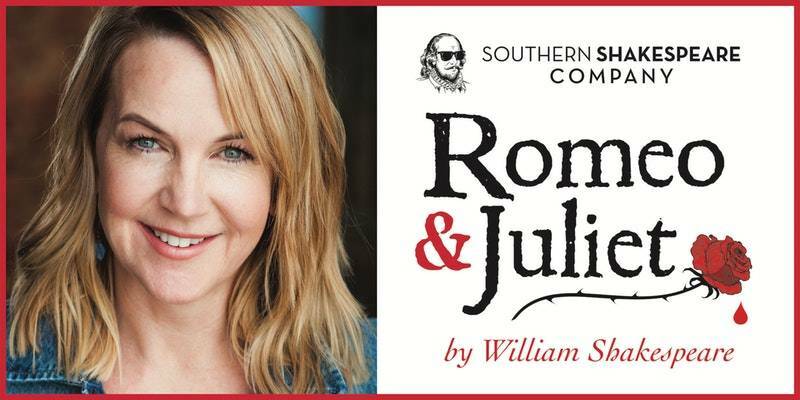 This is an EXCLUSIVE opportunity to meet and chat with Renee O'Connor, star of Xena: Warrior Princess and guest star in Southern Shakespeare's Free Shakespeare in the Park production Romeo and Juliet. All proceeds for this event benefit Southern Shakespeare Festival, a 501(c)(3) non-profit company. Great news! My son, Miles Muir, has been cast as ‘Romeo’ in the Southern Shakespeare Company’s production of Romeo and Juliet. Please join us LIVE on Monday, February 19th as we answer questions about this amazing opportunity to perform together, as well as the experience of working on our feature film, Watch The Sky. Please send your questions, in advance, to the Southern Shakespeare Company’s page Southern Shakespeare Company or to me. The Facebook Live will be at Renee O’Connor, ROC Productions. See you there: 9pm ET and 6pm PT. Renee to Join Cast as Nurse in Romeo & Juliet for Free Shakespeare In The Park Festival 10-13 May 2018! Southern Shakespeare Company is thrilled to announce our 2018 Special Guest Artist Reneé O'Connor (Xena: Warrior Princess) joining our cast of Romeo and Juliet for our Free Shakespeare in the Park Festival May 10-13, 2018! The official facebook responded to a question about what role Renee will play. 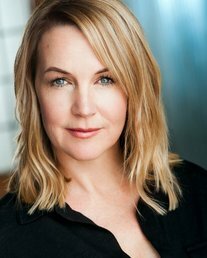 The role is of: Nurse..
SOUTHERN SHAKESPEARE COMPANY welcomes our 2018 Special Guest Artist, Reneé O’Connor, performing in our Shakespeare in the Park production of Romeo and Juliet. 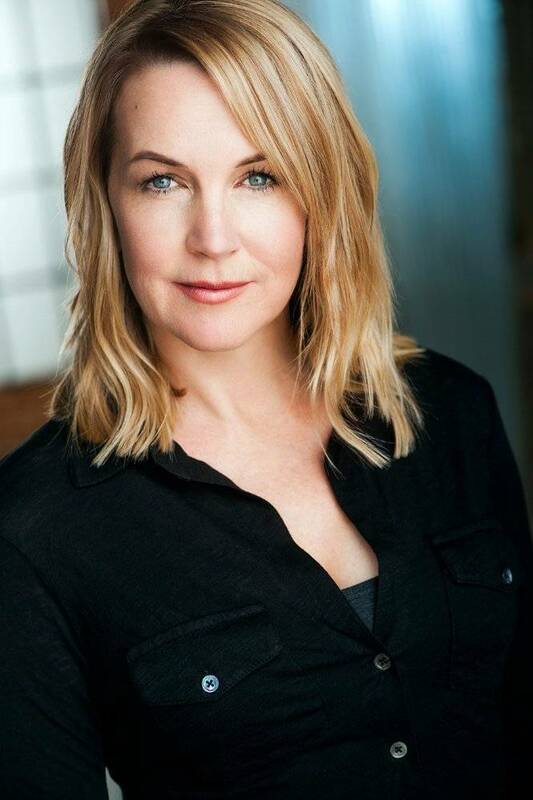 Reneé O’Connor, best known for the role of Gabrielle on the television series Xena: Warrior Princess, is an American actress, producer, and director with a deep and abiding passion for Shakespeare. Ms. O’Connor has performed in Macbeth (Lady Macbeth) and Romeo and Juliet (Nurse) and is thrilled to be joining us at the Capital City Amphitheater this May. Renee in I Love Lucy 10 minute Theatre Show - Photo! Ooh lookee - Renee photo from I Love Lucy Short and Sweet Festival at the Stella Adler Theatre. Renee has announced on her official Instagram account that she will be performing in a theatre show called "I Love Lucy" in the Short and Sweet Festival at the Stella Adler Theatre. Renee is scheduled for Week 3 (starting August 3, 2017). It's a 10 minute play. Renee is Beth in Dinner with Friends at the Little Fish Theatre! 9 - 26 March 2017! Renee is returning to the theatre to play Beth in the show Dinner With Friends between 9 - 26 March 2017! 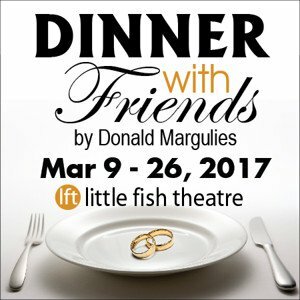 Pulitzer Prize-winning play Dinner with Friends opens March 9 at Little Fish Theatre as the third show of the 2017 Season. Written by Guggenheim Fellowship recipient Donald Margulies, Dinner with Friends examines the complexities of a marriage and the friendships that are affected by its breakup. Directed by Mark Piatelli, this limited engagement production runs March 9 through March 26. Gabe and Karen are a happily married middle-aged couple who have been friends with Tom and Beth, another married couple, for many years. In fact, it was Gabe and Karen who introduced their friends to each other. But while Tom is away on business, Beth tearfully reveals to Gabe and Karen that she is getting a divorce from Tom, who has been unfaithful. When Tom discovers that Beth has told their friends about the divorce, he feels he must present his own side of the story. Using flashbacks as an entertaining and revealing device, audiences will see both couples at different ages and stages of their lives. Playwright Margulies wrote Dinner "to reflect observations I'm having at that time in my life. All around us, relationships are changing, marriages are breaking up. It's those notions of impermanence, the yearning for something else that I'm tapping into." Four Little Fish Theatre Company Members comprise the cast of this fascinating character study. 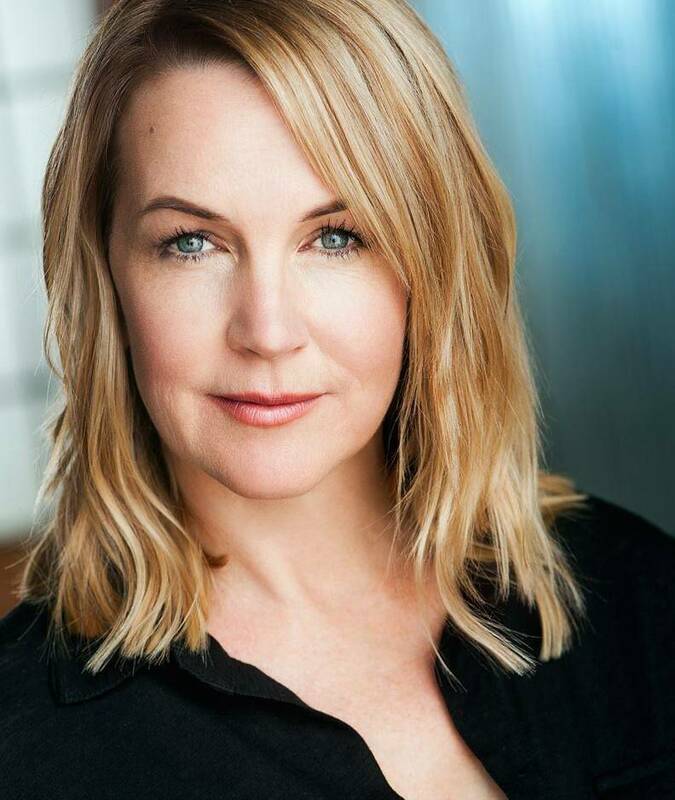 As the embittered and emotional Beth, LFT is thrilled to welcome back Renee O'Connor, best known for her role as Gabrielle on TV's Xena: Warrior Princess. O'Connor was seen as Lady Macbeth in Shakespeare by the Sea's production of Macbeth. Patrick Vest (2016 BroadwayWorld Best Actor Nominated for Rubicon Theatre's Moonlight & Magnolias) takes on the role of peacemaker Gabe. Doug Mattingly (StageSceneLA Outstanding Ensemble 2014 LFT's Rapture,Blister, Burn) plays Beth's husband, the charming but brash Tom. Karen, a food writer like Gabe, is played by Christina Morrell* (StageSceneLA Outstanding Ensemble 2016 LFT's Rapture,Blister, Burn and 2014 Bus Stop) who has also worked with Coachella Valley Repertory and Chromolume Theatre. Director Piatelli (2014 StageSceneLA Outstanding Director for LFT's Bus Stop) notes, "Dinner With Friends is a play about two couples who make a happy foursome. When one marriage dissolves in divorce, the ripple effects test the bonds of friendship." He adds, "This fun and poignant chamber piece raises questions about life choices, commitment, integrity, longevity, and how hidden desires can wreak havoc on the status quo." Dinner with Friends runs from March 9 through March 26 on Wednesdays and Thursdays at 8:00pm, with three Sunday matinees on March 12, 19 at 2pm and 26 at 7:00pm. 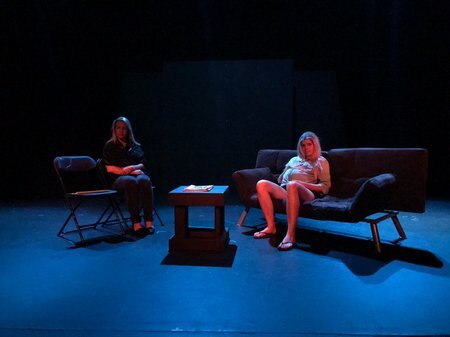 The March 19 show features a special Talkback session where the actors and creative team will be available for a post-show discussion with the audience. The opening night performance offers a special "First Look" price of only $23 per ticket. Regular priced tickets are $27/$25 for seniors for the remainder of the run. Tickets can be purchased online at www.littlefishtheatre.org, or reserved by phone at 310-512-6030, or by text at 424-226-6030. Popular subscription packages of Anytime Tickets are available now and can be used at any of Little Fish Theatre's regular season productions, at any time. 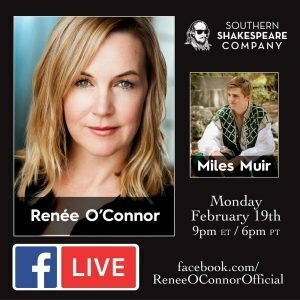 Renee O'Connor to make a cameo appearance at the Thursday, February 19th performance of SMOKE AND MIRRORS. Get your tickets now before they all disappear. If you are coming in for the Xena Con, this is a perfect way to see Renee before the con! The news is via Candy Corey Freeman and Renee's Manager Michelle Grant. Named "Critic's Choice" by the Los Angeles Times, Smoke and Mirrors is a heartfelt comedy-drama with mind-bending magic. Created by and starring actor Albie Selznick ("Castle","Grey's Anatomy", "Young and Restless", "Dexter", etc.) and Magician (Lifetime member of Hollywood's Magic Castle), Smoke and Mirrors is a semi-autobiographical, fantastical, coming-of-age story about a boy who uses magic to escape reality and face the world after the death of his father. The Los Angeles Times calls Smoke and Mirrors "a superb magic theatrical show!" L.A. Weekly calls it "A Bewildering Tour de Force!" Stage Scene L.A. exclaims, "Don't miss this mysterious uniquely entertaining show!" Broadway World raves "A magic show of the highest order...and much, much more. Don't miss Smoke and Mirrors!" Smoke and Mirrors is a poignant yet humorous play packed with sleight-of-hand and amazing illusions. Selznick takes the audience on his journey while enlisting the assistance of Rabbit, The Oracle and Bess Houdini, who makes a startling appearance! Written by and Starring Albie Selznick. Directed by David Schweizer. Produced by Michelle Grant and Danielle Gautier. What is iAmAware Seminars About? Awareness... is to be 'defined' by direct experiences of an open heart. Awareness training is the practice of paying attention to our Ego's thoughts and emotions with sincere curiosity, so we may live in the heart, in the Now. By practicing to Release our desires to live in expectation or obligation, we experience the feeling of Being...connected to our true self, and others, truly living a life aware... more creative, more expansive, and more joyful. What is an Awareness Seminar? This is a Supportive environment where you will practice the opening of your heart to feel connected in ANY environment, by sharing your direct experiences that center around the Ego, contrasting this with the qualities of Awareness. You will begin the journey to release beliefs you hold about yourself that create a feeling of being in limitation, or controlled by the actions of others. By releasing your mind from its ego chatter, you will be guided into exploring the feeling of your life being led Only through your opened heart. With this clarity and increased compassion for your self and for others, you will begin to recognize matches in all your relationships. based on the book "The Ring Around The Mind"
- The Contrasting States of Awareness with the Ego from your direct life experiences. - Your own "Trapped States" of being and living in Ego Patterns. We will come to see how this trapped, and constricted feeling is the antithesis of feeling in Awareness. - Emotions, by comparing and contrasting the feelings that serve the Ego, such as defensiveness, jealousy, abandonment, hatred ... with the emotions that come from the opened heart, such as grief, remorse, or love. - Your observations around seeing your Ego Patterns, and realizing your ability to Choose to be present, and relaxed, in the moment. - Your Willingness to break free from life long patterns. - Your curiosity and better understanding of what 'perfectly' fits into your insightful self's quest for free flowing, joyful Matches, in all areas of your life.